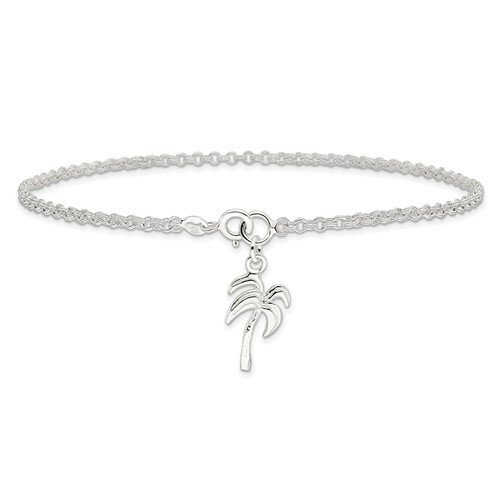 Sterling Silver 10inch Solid Polished Palm Tree Anklet. Weight:4.69 grams. Springlock clasp.